Jasmine is a Yorkshire Terrier who weighs a whopping 5lbs. 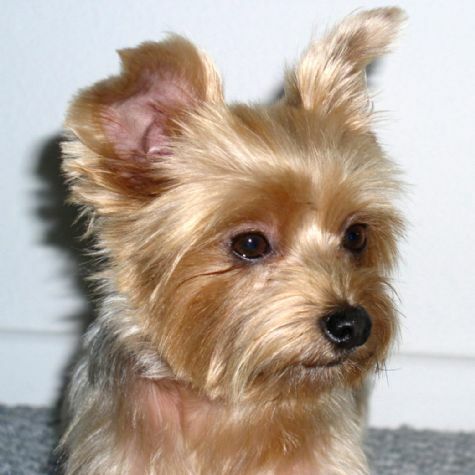 Yorkies were formerly used to rid coal mines of rats, but now they are very popular pets. Like all terriers, Jasmine has lots of energy. She can go for a five mile walk and still want to play ball. Jasmine loves visiting with patients and getting smiles and hugs and some cookies, too. She can do so many tricks that some children call her a circus dog; she can jump through hoops, give a high-five, dance, and wave bye-bye when she leaves.